Real estate may be one of the most important things that you will ever invest in, but it can also be a useful means of increasing your financial well-being. If you’re getting into the real estate game and are wondering how you can make use of investing in homes to improve your net worth, here are three ways you can successfully work towards a real estate investment portfolio that will make you proud. Also known as HELOC, this is the type of loan where a homebuyer taps into the equity of their home while they are still paying off their mortgage. As the equity that has been paid into the home is available without the homebuyer having to apply for it, this allows those who invest in real estate to borrow against equity to renovate the property or pay for a deposit on another property. It goes without saying that most people want to invest in a property that will increase in value, so as an investor you need to be especially careful about what you invest in. Since you may have problems paying all your property fees if the value of one decreases, try and be aware of future market trends and neighborhood hotspots. This means diversifying the properties you invest in and including a buffer in your payment plan so that, even if the market takes a turn, you can still pay off your amount owing. There are few better ways to improve the financial feasibility of your investment portfolio than investing in a property that is under market value. Not only will you have an automatic gain with the purchase price, you will be able to invest that money into improvements in order to bump up the market price even more. 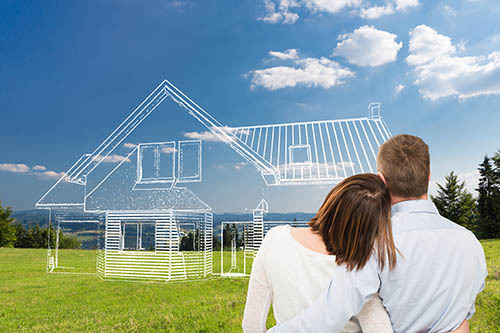 While finding this type of property can be difficult for the newcomer, looking for neighborhoods with potential or properties that require little maintenance can be a good place to begin. There are few better things to invest in than real estate, but it can be hard to know where to put your money in the beginning. Whether through a home loan or purchasing a property under market value, there are plenty of ways to bump up your net worth. If you’re currently considering an investment in real estate, contact your trusted mortgage professional for more information.